Lead product development from planning towards SOP. Collectively execute the establishment of business plan, technical planning, performance target (concept, investment, quality, performance, cost, weight, schedule etc) and monitor activities meeting targets. To manage development processes to meet NPI gateways: Concept Approval (DQCM) ; Final Approval (PQCM); and development target milestone being met. Establish Bom Cost &amp; Engineering Bill-of-Material tracking list. Establish Master Schedule tracking for major events. Establish proto build program and monitoring change management and control. Establish developmental testing program including test plan and costing ensuring within development timing and budget. Assist in planning and analysis of management information, managerial planning and budget planning and control. Establish and strategize change flow procedures. Execute, monitor and review changes within agreeable schedule and implementation target. Manage and conduct risk management activities throughout the overall projects and procedure reports to Product Development Committee with necessary mitigation and preventive plan. Carry out directions / instruction from Senior Management / Board of Directors as per business requirements from time to time. Minimum 6 & 7 years experience in automotive industry. Knowledgeable in Project Management techniques. Trained in automotive design and management in the areas of Clay feasibility study, general lay-out drawings, parts and installation drawing spec control drawing, design standards and vehicle regulation requirements. Working knowledge in CAD / CAE for automotive design and crash analyst. 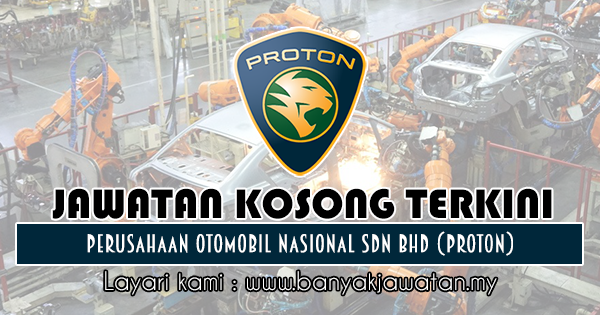 0 Response to "Jawatan Kosong di Perusahaan Otomobil Nasional Sdn Bhd (PROTON) - 14 Ogos 2018"